We are a young, fast-growing and dynamic company. We have a passion for audiovisual and IT products. Do you have a challenge? Then you have come to the right place. CRJ Audio Visueel was founded by Christiaan Roffel on November 22, 2004. As a self-employed person, he was hired by various companies to install audiovisual equipment on location with end users. Quality and perfection are paramount at CRJ Audio Visually. This kept the applications coming in. The company grew slowly in terms of staff. From a sole trader to a B.V. The old warehouse therefore became too small. 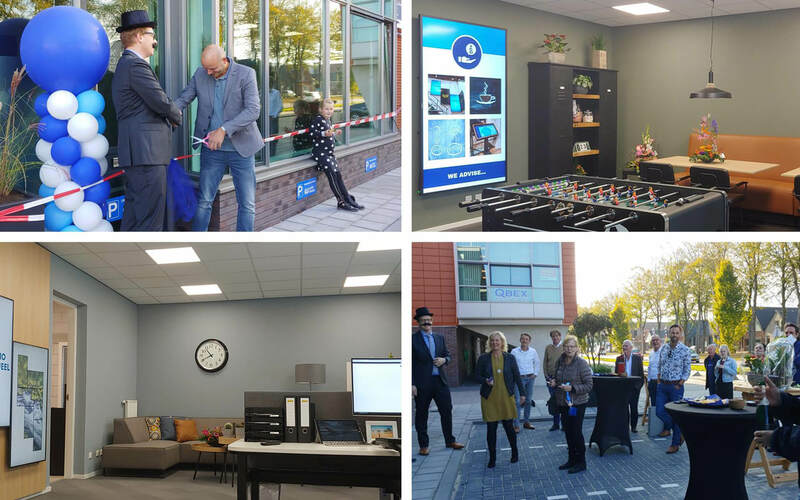 Our new building was therefore opened on 19 October 2018 on Havenstraat 2B in Ridderkerk. CRJ Audio Visually gained more warehouse space. For the first time in the history of CRJ Audio Visually, our company now also has access to an office. From our new address we are also here for you!